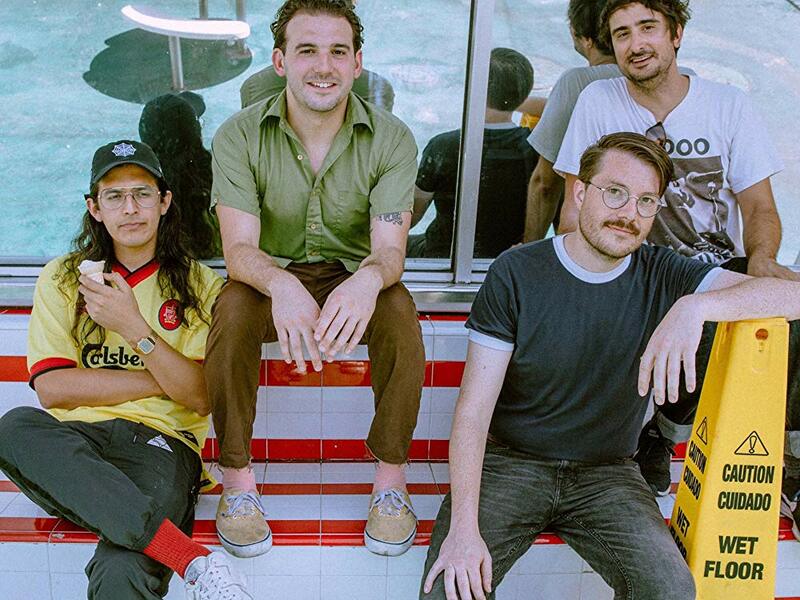 Punk fans might first recognize the name of LA’s Danny Nogueiras from his stint as FIDLAR’s drummer back when the band was taking its first steps. Erase any preconceived ideas – or genres – from your mind as his new (former solo) project, NO WIN, is a dead ringer for a chug-y-guitar-centric, power pop outfit. Now, with three full-time band mates in tow, Nogueiras is out of the studio on a new record and on the road with NO WIN, who are currently signed to Dangerbird Records and in the midst of a tour with Swervedriver. downey, the band’s new record, takes its name from the Southern California city Nogueiras grew up in and is full of vibrant nostalgia. NO WIN played Milwaukee last week and Nogueiras took a moment to get us up to speed on the new project (and album), tour and more. The band started out three years ago, correct? When did things start really coming together where you could start thinking about a full-length? How did you get involved with Dangerbird Records (is it from being LA-based)? When I was like 19 or 20 I got an internship at some studios in Los Angeles; a bunch of cool indie rock-focused studios on one, big compound. One of those studios is “The Ship” which is owned by Aaron Espinoza [of Earlimart]. He’s a great musician and producer and someone I looked up to a lot when I was finding out who I wanted to be in music. We kept in touch since then and when I started NO WIN, he was starting out doing A&R at Dangerbird. I kept sending him stuff and he asked us to do a single for them and after that, we got asked to do a record for them and now, here we are! Thank you, Aaron Espinoza! Power pop is all about sweet guitars and even sweeter vocal harmonies; who are some of your favorite bands of the genre that inspired your own sound a little bit (or a lot bit)? Guided by Voices, Teenage Fanclub, Superchunk, Big Star…all the usual suspects. Did you consider producing the record yourself at any point? What made you go with John Goodmanson as a producer? I did produce the record (and David Jerkovich [bass] did a lot of engineering on it)! It was super fun and we did it in a brand-new studio I had just built in LA called Balboa Recording Studio; that’s where I make records now! John Goodmanson mixed the record and he did an INCREDIBLE job. I think he really took it to a great place. Your sound is not completely out of bounds from Swervedriver but there are notable differences. How does touring with a legendary band like that inspire your own sound, performance mentality or your ideals? Swervedriver sound great and their guitar tones are insane. It’s an honor to play before such a great band and to gather whatever knowledge I can from their set. It definitely has driven me to take my guitar tone to new heights in the future. What’s your favorite band in LA right now that people might not be aware of? Rufrano. Theres so many great bands in LA that don’t get the attention they deserve. Rachel Rufrano (who plays as just Rufrano) is someone I’ve known for a long time and her writing just gets better and better. She has a solid band behind her and a uniquely impactful identity as an artist. Her song “Downtown Long Beach” has brought me to tears on more than one occasion. Listen to downey by NO WIN, here.